The AAP legislators were accused of being unconstitutionally appointed as parliamentary secretaries to assist various Ministers of the Delhi government. 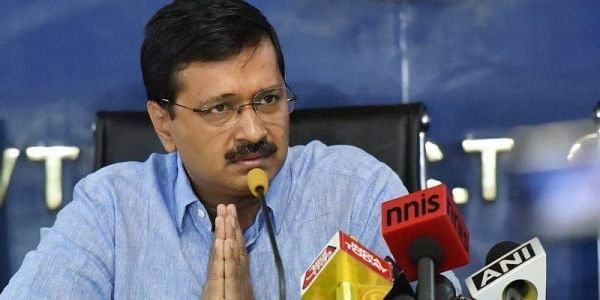 NEW DELHI: After the Election Commission on Friday found 20 AAP MLAs guilty of holding an "Office of Profit" and recommended their disqualification, both the Congress and BJP demanded Chief Minister Arvind Kejriwal's resignation. "Kejriwal has no right to continue. Half of his cabinet ministers were removed on corruption charges. Twenty MLAs who were enjoying ministerial perks would be disqualified," Delhi Congress chief Ajay Maken said in a tweet. He added: "Where is Lokpal? The MLAs and Ministers enjoying perks of power and foreign travel. Where is political probity?" Initially, the case was against 21 MLAs but it now stands at 20 after Rajouri Garden MLA Jarnail Singh resigned to contest against Parkash Singh Badal in the Punjab Assembly elections in 2017. BJP MLA and Leader of Opposition in the Delhi Assembly, Vijender Gupta said it was "a huge moral defeat" for the Chief Minister and hence, he should resign on ethical grounds. "Better late than never, EC disqualifies 20 AAP MLAs for holding office of profit. The AAP government has much to answer to the public for their political impropriety as Delhi is headed for mid-term elections," he tweeted. "Will request President (Ram Nath Kovind) for speedy approval." "It has put his (Kejriwal's) leadership in peril. He must resign on ethical grounds," Gupta said in a series of tweets.